President Goodluck Jonathan has inaugurated the N300 million Jubilee Resort and Leadership Centre built by the Christian Association of Nigeria (CAN) in Abuja. “I am indeed happy that today we are talking about the leadership centre,” he said at the ceremony, urging the association to ensure that it used the centre to train future Nigerian leaders with strong moral and fiscal discipline. “The greatest asset of any society is leadership – from the family to business; from the church to the national level. “I believe this centre will be used to model and mould leaders, especially those Christians, who are aspiring to be leaders at all levels in the church, in business, in the educational institutions, and of course in the political setting,” the News Agency of Nigeria reported. The president said that Nigerians would always expect that if a Christian was governor of a state, there would be a difference. According to him, sometimes Nigerians conducted themselves in an inappropriate manner “because whenever certain issues come up, especially things involving money, you see the way people behave and you begin to wonder if this person ever prays. “I believe this centre will be used to help us to re-orientate us, to refocus those of us that – by the will of God and commitment of Nigerians – are holding various elective and appointive offices. Jonathan praised Christians for their unity of purpose in building the edifice and prayed that such unity should be extended to national affairs and governance. Speaking earlier, the CAN President, Pastor Ayo Oritsejafor, said that the building was built with funds donated by Christians and non-Christians and that most of the contractual work was done free of charge by professionals. 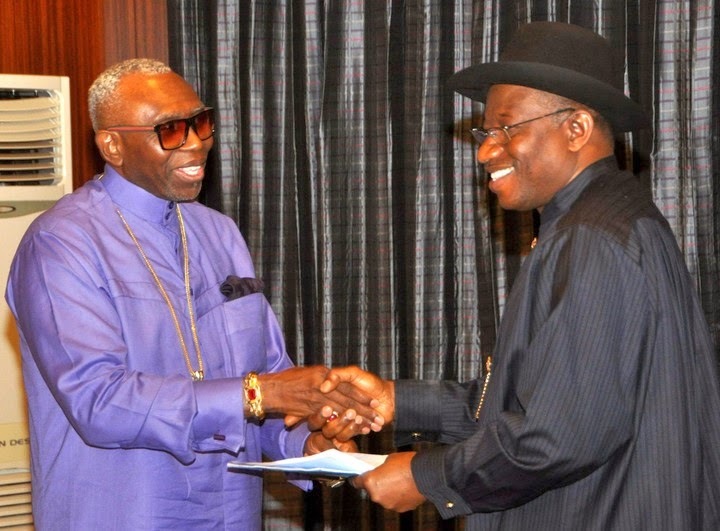 Oritsejafor said the project would be used to raise money for the association.